EXHIBITED: “American Still Lifes”, The R.W. Norton Art Museum, March 3 - May 25, 2014, curator: – David J. Wagner, LLC. 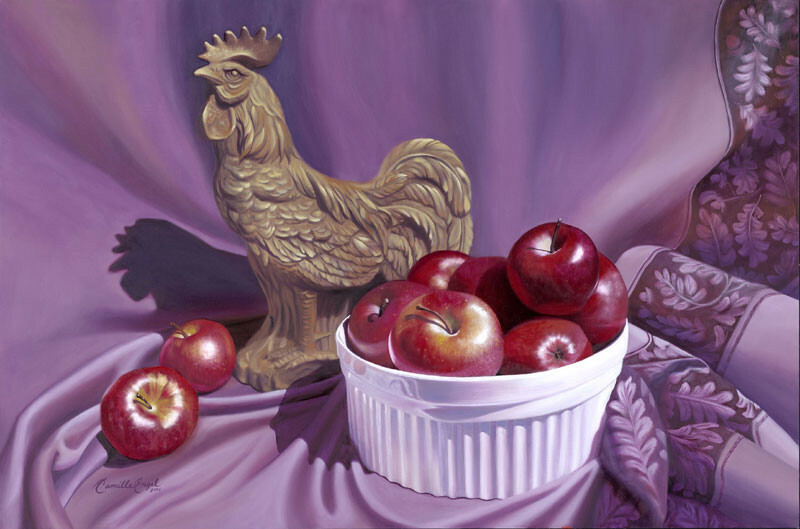 A contemporary realism still life fruit painting depicting red delicious apples in a white dish and rooster figurine against a purple background.